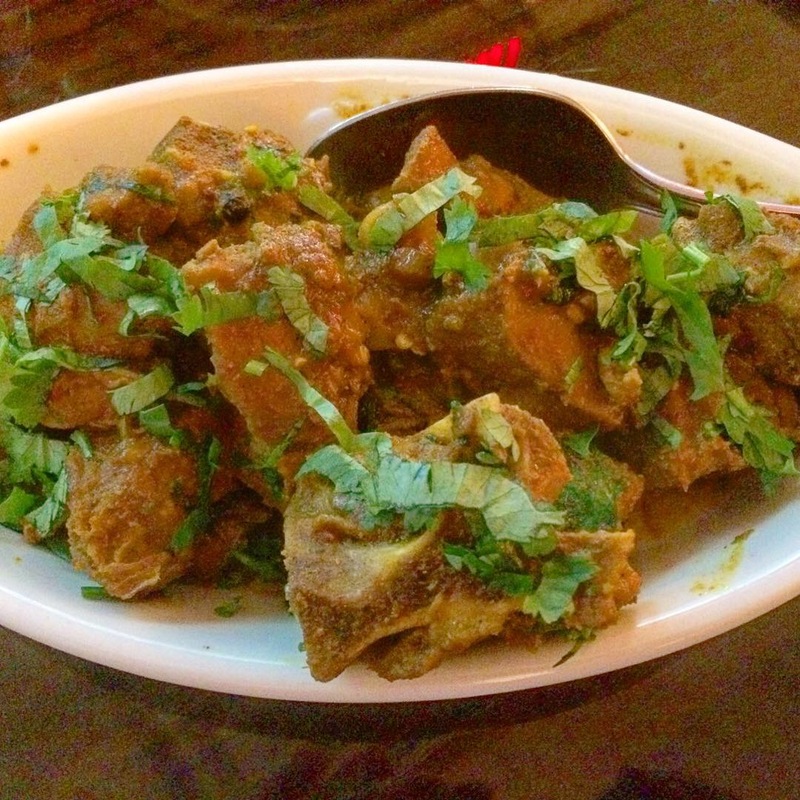 On a quest for Goan food, we made the trip to Jersey City (because mass transit doesn’t go to India) where we enjoyed a bite at Bombay To Goa, 785 Newark Ave.
 Mutton Sukkha. 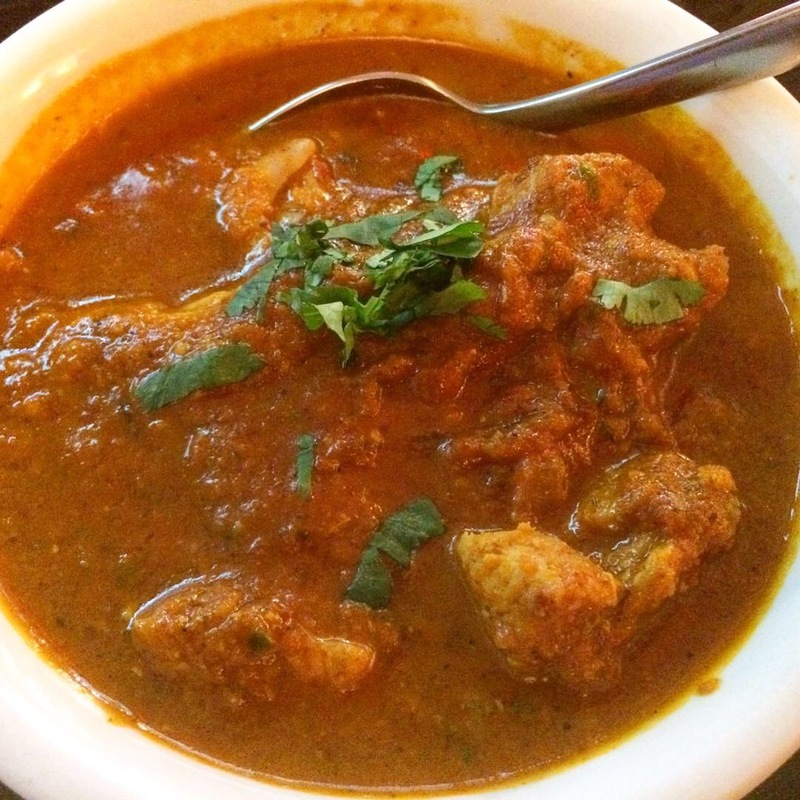 The word mutton generally implies goat in India and when you see sukka (or a similar spelling) on the menu, it refers to a dish that’s not swimming in gravy (the word सूखा means dry in Hindi): tender baby goat, in a thick, spicy, meaty reduction. Xaccuti de Galinha. Xacutti (or a similar spelling) is your cue that this is a coconut based curry. Galinha (chicken) harks back to the time that Goa was a Portuguese province. The coconut is roasted and enhanced with poppy seeds and dried red chilies. 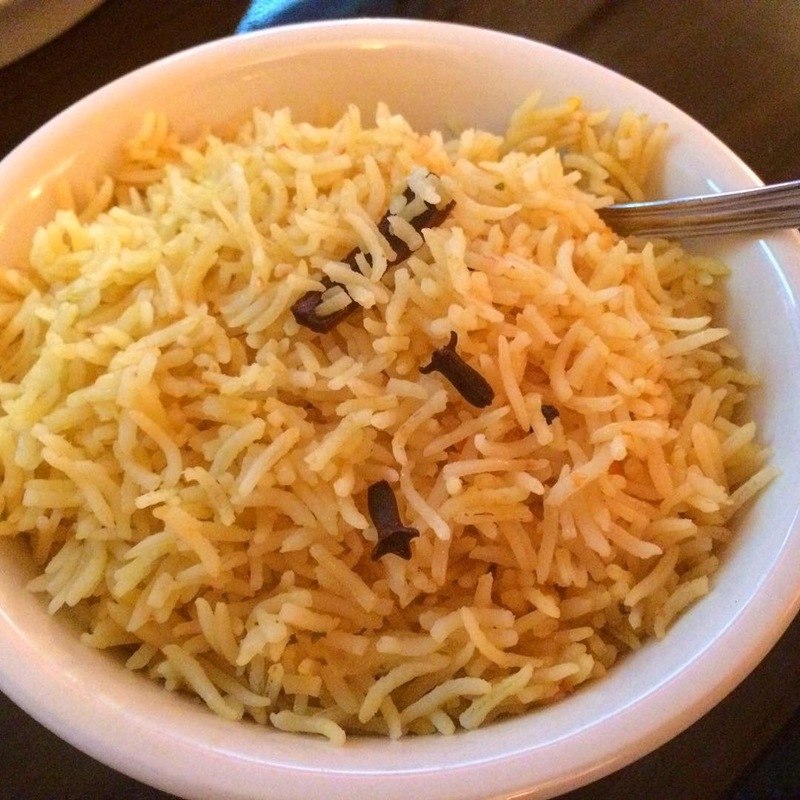 Piquant and flavorful, it was perfect with our order of  Goan Pulao.